Click on the card above to send us an e-mail, or call the number shown above. Click here to read Palette's Purchase Terms. The restored vintage radios in our collection are meant to play! We have a saying around here, "if our radios didn't work then they might as well be considered to be book ends, doorstops, or sculptures." Our technician has 60 years of restoration experience and has even designed radios. Our collection, mostly of "mid-century" tube radios and transistors, has a wide range of styles from a variety of materials such as Bakelite, wood, Catalin, plastic, and metal. We especially like models that feature big lighted dials, "the kind you could almost read a book by." Many of our radios are "modernistic" in design and we always seek to provide radios that are cosmetically in good to excellent condition. We carry brands such as Admiral, Bulova, Delco, Detrola, Emerson, Grundig, Panasonic, Philco, Sparton, Sonora, RCA and Zenith. Select radios have been made iPod® compatible and the radio "of your dreams" may be able to be made iPod® compatible, too. Feel free to contact us and we'll determine your radio's compatibility! 1. A "Good Faith" documentation of all known mechanical and cosmetic repairs made to a given radio has been listed in the item description. 2. If your purchase needs to be shipped, it will be double-boxed, properly insured for its purchase price, and delivered via UPS Ground Service unless otherwise specified. The shipping charges will be billed to the buyer at seller cost. The buyer has the right to inspect the merchandise purchased, from our website, within three days of its receipt from Palette and return it if the item was misrepresented in a listing for a refund less the shipping/packaging charges that the seller has incurred in shipping the object. The buyer must immediately notify the seller of his/her return intention via phone or e-mail during this three day time period. Immediate notification is also necessary if the buyer believes that a purchased item was potentially damaged during its shipment so that a shipping claim can be initiated. Funds received by the gallery as a result of a settled shipping claim will be used to repair the damaged radio. The repaired radio will then be sent back to its buyer. 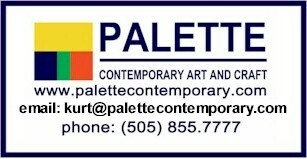 A Radio Attic buyer may also choose to replace his/her returned purchase with another item of equal value from Palette's inventory. Notice of an impending return and replacement must be initiated within three days of the initial purchase. A replacement radio will be shipped to the buyer once the original radio has been returned to and received by the gallery. 2,608 people visited this page last year. You are visitor number 551 to Palette's Radio Attic this year.